SAN FRANCISCO — It has been dubbed "the Florida Shuffle." Drug addicts from across the country get lured to the Sunshine State for decades with the promise of treatment, only to be traded from one unscrupulous drug rehab to another. Meanwhile, the patient's insurance company gets milked for tens of thousands of dollars in fraudulent charges. Many have overdosed and even died in the process, prompting Florida lawmakers to crack down on the scam. Now, some bad actors are luring their victims to California, CBS San Francisco reports. "He called me when he was in treatment and started telling me about California," said Rich Strickling, who lives in Ohio. He said he had a feeling something was up when his 22-year-old son Alex, a recovering heroin addict, called to tell him he was planning to leave his treatment center in Florida for a new rehab facility in California. 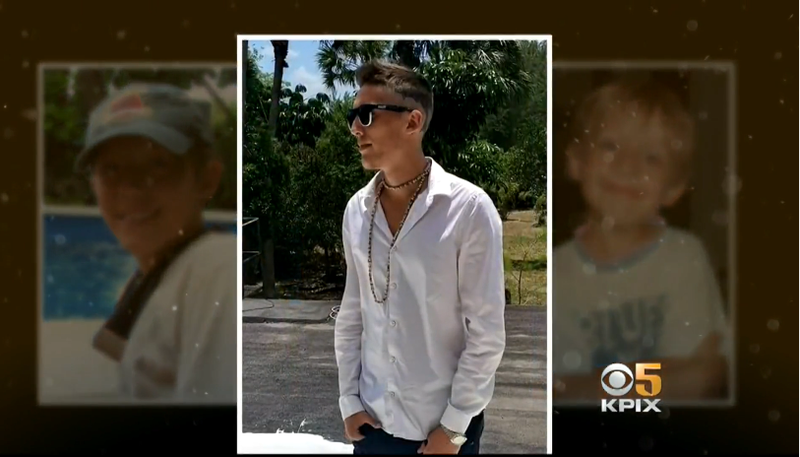 Days later, he got another call: Alex had overdosed and died in a motel room just a few miles from his drug rehab facility. "Somewhere I was building some type of wall waiting for the day that it happened to my son, but nothing prepares you for that," said Strickling. When he learned how the overdose happened, the pain turned to anger. "There was somebody whispering in his ear," said Strickling. It turns out that a person Alex met in treatment was offering him money and airfare to switch to a new rehab in Beverly Hills. "I had all the text messages after my son passed away," said Strickling. In a first text, a person asked: "Wanna go to Cali?" "I'll send you like $200 to get you established out there and on top of that you get 2 packs of smokes a day, haircuts and gym." Days passed. Then the messages became more urgent. "What's the word homie? You ready? Cali's calling your name," the next set of texts said. Then the person spells out in detail what was needed: "Send me your insurance info and I'll run it to get you approved." Another text said, "Send it tomorrow I'll throw you the cash after 17 days, broski." "I trust you lemme get back to you tomorrow with my info," Alex responded. After Alex sent his insurance information, radio silence followed. Strickling now knows why. "That same person that does that hard sell on you, they're going to tell you towards the end of that process that, you know you have to fail your urine test in order for them to justify getting you into treatment," said Strickling. The person who was trying to lure Alex to California is what's known in the industry as a "body broker." Unethical treatment centers will pay former addicts kickback money to recruit someone with good insurance to come to their facility. Then that rehab center will run the addict's insurance for unnecessary testing, making millions. "A body broker, to use an indelicate word, is a pimp," said David Skonezny. He moderates a Facebook group called, "It's time for ethics in addiction treatment." "And most often those people will be bought and sold over and over and over, including being paid to relapse often times," said Skonezny. On the Facebook group, he flags what he suspects might be unethical rehab centers. "I felt responsible, because I was bringing people in," said Sudekum. "It was just like a flop house, basically," said Baca. The two former rehab center employees and others CBS San Francisco spoke with reported to authorities that the center was paying for patients. "I really feel sorry for the people who are really there to get well," said Baca. The two women said that while they were working at UMNPA Treatment, there was no credentialed clinical staff on location as required by law. They also said patients used drugs. Records show police responded to the center on calls concerning a near-death heroin overdose, possible meth use, battery and an attempted suicide. The two former employees provided CBS San Francisco a balance sheet with a line item for $341,030 dollars for marketing. They believe that money was actually used to pay for clients. "We would never pay a client to come to treatment," said the treatment center's president Indigo Allendorf when CBS San Francisco inquired about money going to people receiving treatment. CBS San Francisco asked her: "One of the line items in UMNPA Treatment's budget is for marketing/referrals and that this past year you guys spent about $341,000 on that? Who are you paying that money to?" "We have a very reputable marketing firm that we pay a substantial monthly payment to," said Allendorf. She provided the name of the marketing company, but when CBS San Francisco called, they had never heard of UMNPA. "It's sort of like Wack-A-Mole. One area of scamming is cracked down upon and then the scammers find another way to exploit the sector," said Lamm. He said there are so many bad actors that operators like himself who refuse to pay for clients struggle to stay open. "You wonder how in the world do people sleep at night, preying on this vulnerable sector," said Lamm. Governor Brown recently signed the new law that outlaws patient brokering in the treatment industry. If caught, a treatment center would be fined and could lose its license. That penalty is less strict than Florida's law, which makes the practice a felony.